From on-line accounting for smaller local businesses to feature-rich global financial applications for larger, complex businesses, these accounting applications are designed to support your needs today and in the future. Manage quotes and orders, track inventory, automate purchasing, and improve customer service. 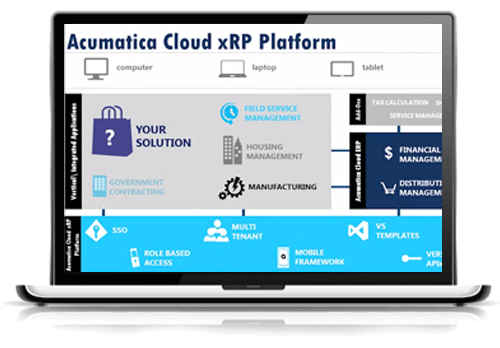 Fully integrated with CRM, financials, manufacturing and project accounting for visibility across the entire organization. Includes standard CRM functionality for managing leads, contacts, opportunities, etc. In addition, post-sales service and customer portals help improve the total customer experience. Service Management tracks and optimizes every process of your field services operations. Service orders, appointments, contracts, warranties, routes, staff skills, equipment capabilities, preventative maintenance schedules, and a drag-and-drop dispatch board are all available.